 Talk back: What do you think of Fargo? 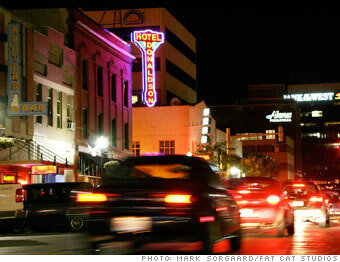 Fargo has seen significant growth in the past decade, bucking the pattern of struggling Midwestern cities. The town has much to recommend it: a low cost of living, low crime, short commutes (typically less than 15 minutes), and clean air. It also boasts one of the lowest unemployment rates in the nation: just 2%. As the largest city in the state, and one located at the intersection of two interstate highways, Fargo is a retail magnet for the Upper Plains. (Sioux Falls is 250 miles south; Minneapolis is 250 miles southeast.) Agriculture has long been of primary importance, thanks to the Red River Valley's rich farmland. Related industries include agribusiness and agricultural research. But tech firms have emerged, too: Microsoft employs 1,500 in Fargo and last year announced a $70 million expansion of its Fargo campus. Find homes for sale in Fargo, N.D.